International Women’s Day observed globally on 8 March celebrates the achievements of women in all walks of life. On this occasion, the RCMRD Secretariat is joining women all over the world and particularly in the RCMRD region to commemorate this day. Prof. Kiema said it can sometimes be difficult for men to know exactly how to react to days like today – will they be expected to play a part? If so, what part? Prof. Kiema says, it’s an opportunity for all of us to celebrate equality, and an opportunity to campaign against inequality. He says the day also marks a call to action for accelerating gender equality with the challenge to #PressforProgress. Today doesn’t belong to feminists, it doesn’t even belong to women, and I think that perception can sometimes be a barrier for men. The lack of men in discussions of gender equality is worrying, and the lack of men on the front line, supporting those who suffer exploitation, is even more of a concern. 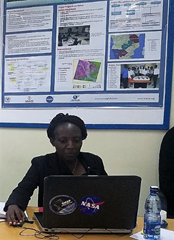 Remote Sensing Specialist Rose Waswa says women are already in the future considering the number of women in Geo-information. She adds that former US Senator Kirsten Elizabeth Gillibrand should no longer be worried, the Senator had once opined, "My hope is that in the future, women stop referring to themselves as 'the only woman' in their physics lab or 'only one of two' in their computer science jobs." “I am currently the thematic lead for Agriculture and Food security. 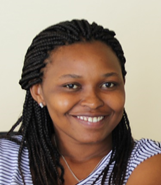 Together with our team/partners, we are working on mapping croplands, monitoring frost occurrences, developing crop monitors to inform us on drivers and productivity trends on our croplands and monitoring vegetation conditions in our rangelands,” continues Lilian Ndungu. 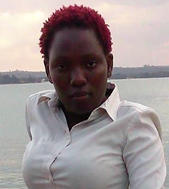 Remote Sensing Specialist Pauline Ogola states, “Women have continued to prove that they can excel in different fields of science such as Meteorology, Geology, Physics, Chemistry, Remote Sensing and Hydrology among others. To the upcoming generation of women, "Don't pay attention the naysayers, we as women can do it!" Prof. Kiema urges women to take up opportunities noting that RCMRD encourages mentorship for all. 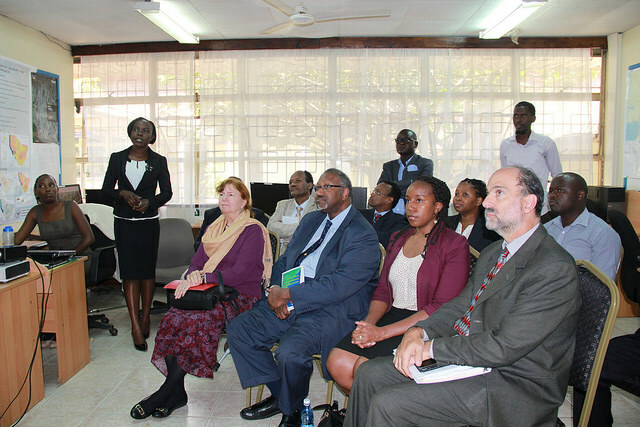 “Last year, RCMRD participated in the Women in Science (WiSci) camp in Malawi. As you know, these annual camps aim to close the gender gap through access to education, mentorship opportunities, and leadership training. Girls participate in hands-on activities to learn about various Science, Technology, Engineering, Art & Design, and Mathematics (STEAM) topics in a cross-cultural learning environment. We create opportunities for women at RCMRD and we are creating a level playing field through our policies, job advertisements, selection, recruitment and remuneration. We have an equal pay policy, equal rights equal pay, we practice that as well as create awareness about equality, so far, and a third of the women are in the top management. We are walking the talk. “My attraction to this field was based on the endless possibilities of applications and diversity of places I could work in. Geoscience is applicable in literally every field. Health, banking name it. 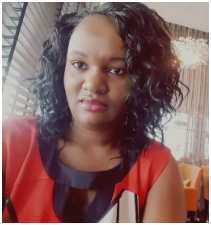 It is a field that has over time broken many boundaries and I find such things very appealing,” says Phoebe Oduor the SERVIR E&SA) Thematic Lead LULC and GHG Inventories. Prof. Kiema says that charity begins at home and he explains that he is a father of two daughters and two sons and he treats them equally. “The realization of human rights and the empowerment of women and girls are enshrined in various international and regional human rights instruments including the Convention on the Elimination of All Forms of Discrimination against Women and the Protocol to the African Charter on Human and People’s Rights on the Rights of Women in Africa. Emphasizing the need for the realization of human rights and the empowerment of women and girls are necessary for the achievement of the Beijing Declaration and Platform for Action, Agenda 2063, the Addis Ababa Action Agenda and the 2030 Agenda for Sustainable Development and its associated Sustainable Development Goals,” the Director of Technical Services says. “Young women today must understand that, at a minimum, they must be able to financially support themselves. Financial independence is freedom. Alternatively, financial dependence can result in very difficult circumstances and uneven playing fields. We must encourage girls to get educated, especially in developing and in-demand fields such as STEM. We must also support women inventors and entrepreneurs” Prof Kiema concludes.